When looking for the “best” ingredients to include in your peri-workout supplementation regimen, you generally stick to those that are proven over and again to deliver on their hype. However, every now and then a particular ingredient stands out as the “best of the best” for the multitude of benefits it brings to all aspects of the workout. Citrulline Malate is one ingredient that works for virtually everything! It improves performance, nitric oxide production, energy levels, and recovery. Hang on because you’re about to get a thorough schooling in the powerhouse ergogenic. Citrulline Malate is a combination of the amino acid l-citrulline bonded to malic acid. Citrulline is a non-protein amino acid obtained via the diet, or synthesized from L-Ornithine (another amino acid) in the urea cycle, a process where the body removes nitrogen waste. When extra citrulline is ingested via supplementation, it sends the urea cycle into overdrive absorbing the excess nitrogen the is given off by muscles before it can succumb to fatigue. The body produces Citrulline in two ways: in the intestinal walls via Glutamine breakdown and as a by-product created from Arginine’s conversion to Nitric Oxide (NO). Speaking of arginine, many used to think that Arginine was the go-to ingredient for increasing N.O. production in the body. However, research has confirmed that Citrulline is a superior elevator of N.O. production in the body. Malic Acid (malate) is an organic compound found in various foods, most notably apples. It’s a weaker acid commonly used as a preservative. However, it also helps improve energy levels and reduce pain levels felt when exercising. Citrulline is naturally occurring in the flesh and rind of watermelon. In fact, if you eat enough of the juicy fruit, you’ll actually consume enough to elevate plasma levels of citrulline, thereby getting your “pump on” while eating watermelon! As mentioned above, Citrulline’s most well known function is that of a Nitric Oxide booster. Increasing N.O. levels increase vasodilation, blood flow, glucose uptake, oxygen delivery, and nutrient transport. Increased blood and nutrient delivery increases endurance by delaying the onset of fatigue (both mentally and physically) during exercise. Furthermore, increased vasodilation translates to some truly monstrous pumps during your workout! As stated above, the Urea Cycle removes excess ammonia and nitrogen in muscle tissue, which is critical as ammonia can be extremely toxic to the body at excess levels. From a performance standpoint, elevated levels of ammonia limit glycogen formation, inhibit the energy cycle, and induce fatigue. Citrulline Malate acts as a “buffer” against such ammonia accumulation which boosts endurance and performance both on the field of competition and in the weight room. 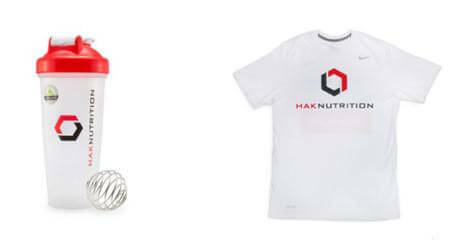 For Citrulline Malate’s final “trick”, it also increases the rate of ATP synthesis during exercise and improves phosphocreatine (CP) recovery after exercise. ATP is a cell’s primary energy source, and the faster you can regenerate ATP stores, the quicker your power and strength comes back, letting you beat back fatigue during high intensity exercise and continue making gains. To take advantage of the enhanced athletic performance and increase nitric oxide production, aim to consume 6-8g pre workout. If you’re looking to accelerate recovery, consume 3g immediately post workout. When you’re looking for the ultimate pump, performance, and recovery enhancer, there’s no better place to look than Citrulline Malate. It truly is one of those “can’t miss” ingredients of the supplement world. 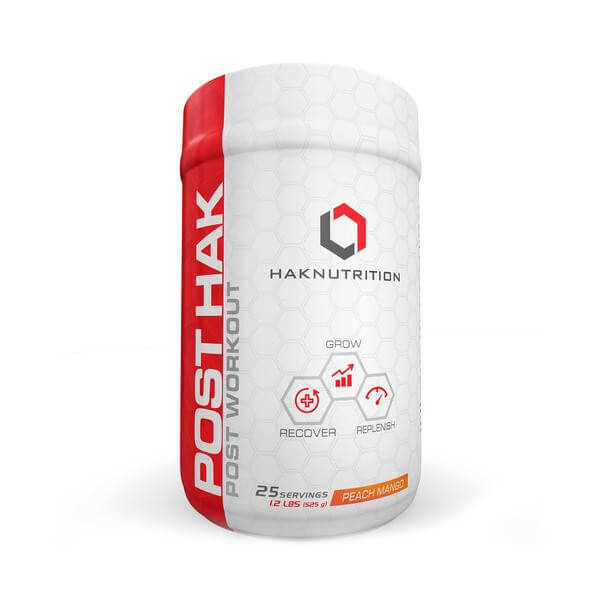 For this exact reason, both PreHAK and PostHAK include clinically-backed doses to enhance athletic performance and speed recovery. 1. Perez-Guisado J, Jakeman PM. Citrulline Malate Enhances Athletic Anaerobic Performance and Relieves Muscle Soreness. The Journal of Strength & Conditioning Research 2010;24(5):1215-22 10.519/JSC.0b013e3181cb28e0. 2. Orozco-Gutierrez JJ, Castillo-Martinez L, Orea-Tejeda A, et al. Effect of L-arginine or L-citrulline oral supplementation on blood pressure and right ventricular function in heart failure patients with preserved ejection fraction. Cardiology journal 2010;17(6):612-8. 3. Sureda A, Cordova A, Ferrer M, Perez G, Tur J, Pons A. l-Citrulline-malate influence over branched chain amino acid utilization during exercise. European Journal of Applied Physiology 2010;110(2):341-51. doi: 10.1007/s00421-010-1509-4. 4. Effects of L-citrulline oral supplementation on polymorphonuclear neutrophils oxidative burst and nitric oxide production after exercise. Free Radical Research 2009;43(9):828-35. doi: doi:10.1080/10715760903071664. 5. Sopi RB, Zaidi SI, Mladenov M, et al. L-citrulline supplementation reverses the impaired airway relaxation in neonatal rats exposed to hyperoxia. Respiratory Research. 2012;13(1):68. doi:10.1186/1465-9921-13-68.